Product prices and availability are accurate as of 2019-02-19 20:10:16 EST and are subject to change. Any price and availability information displayed on http://www.amazon.com/ at the time of purchase will apply to the purchase of this product. 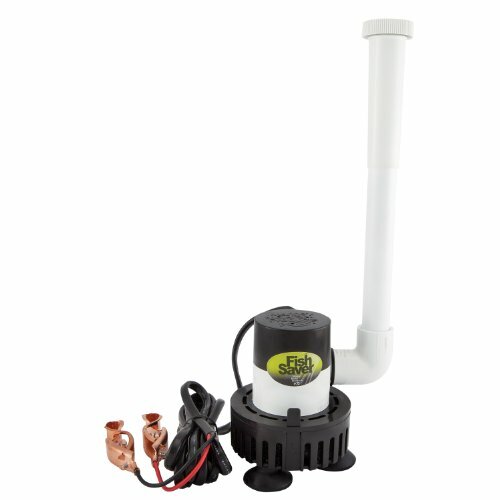 12 Volt DC livewell aerating system. Rule 360 gph Pump attaches with suction cups. Spray tube may be cut or lengthened to fit different containers. Non-toxic Fish Foam filter. Low current - up to 1-3/4 amps. Complete ready to use system with copper battery clips. Aerates 10 to 25 gallons.